Chaos incarnate Croteam and professional hype-people Devolver Digital have launched Serious Sam VR: The First Encounter and Serious Sam VR: The Second Encounter on HTC Vive and Oculus Rift via Steam. 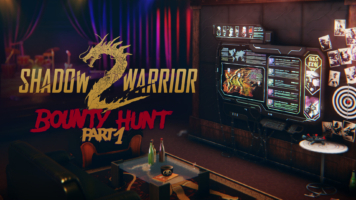 Flying Wild Hog and Devolver Digital have released Shadow Warrior 2: Bounty Hunt Part 1, the next in a series of free DLC mission packs following the recent Shadow Warrior 2: Way of the Wang DLC. Shadow Warrior 2 is 25% off through the weekend to celebrate the launch of this hot new throbbing piece of content [http://whowantssome.wang]. 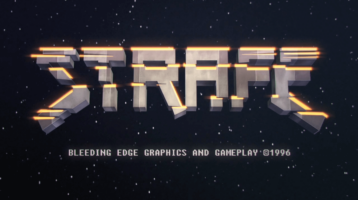 Croteam’s VR love affair just keeps on giving. 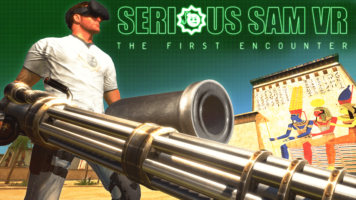 Serious Sam VR: The First Encounter is a furious arcade FPS available now on Steam Early Access for HTC Vive and Oculus Rift VR headsets, featuring single player action plus online co-op and versus modes for up to 16 players. 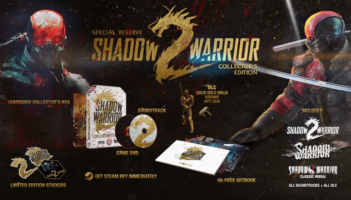 Independent studio Flying Wild Hog and worldwide publishing conglomerate Devolver Digital announced today that the recently launched hit game, Shadow Warrior 2, is getting a limited boxed collector’s edition, aptly named the Shadow Warrior 2 Special Reserve Collector’s Edition.